The prize I knew about was the beautiful trio of polishes from beauty uk I love them and I think pink is great on the nails. I also think its fab how they are supporting cancer research ! 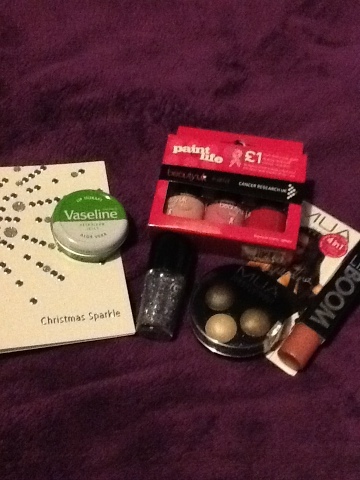 The second prize was a pot of aloe Vera Vaseline which I was so pleased with as I'm a lip balm junkie. 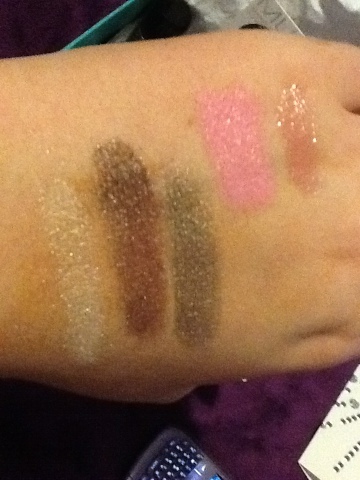 The next two products I received were both from mua the trio shadow palette in innocence which is a gorgeous mix of browns and the lip boom in cheeky I'm so happy to have got this I've been wanting to try then for what feels like forever and the last product I received was a NYC nail polish in lights camera glitter which is a mix of Finely milled silver glitter and larger hexagons of blue and pink. 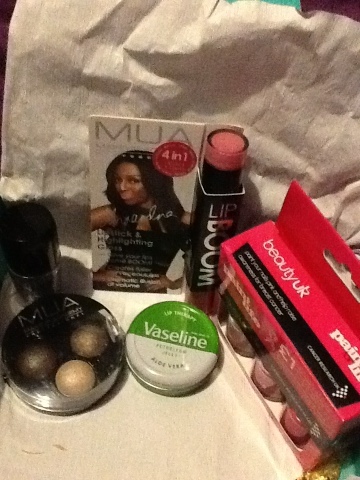 Cute, lovely products. Well done on winning! xoxo. Ah well done for winning!